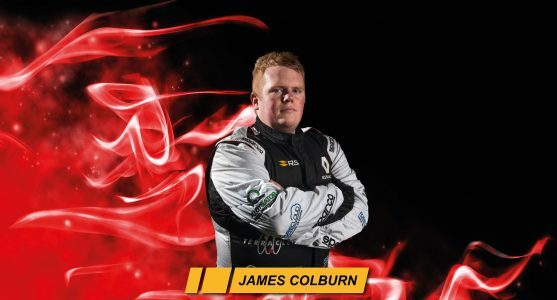 Experienced Clio Cup racer James Colburn will return to the UK Clio Cup at Silverstone with PP Motorsport. This will be his first outing in the championship since a one off appearance with BKR at Thruxton in 2015, following on from a full season in 2014 finishing 5th overall. His best result in the series came as joint runner up in the 2011 Championship. Colburn has this year been racing classic cars, namely an Austin A35, and working alongside PP Motorsport as driver coach to Anton Spires. His efforts in the little Austin culminated in a place on the grid in the St Mary’s Trophy race at Goodwood Revival, making the most of his appearance at the prestigious event by securing pole on Friday. After a good start in the Sunday afternoon race James kept his place at the head of the thirty car grid consisting of identical specification A30 and A35s. With his lead increasing it was looking like a dominant performance to take the race win, but this was not to be with terminal engine failure forcing retirement. Reflecting on his first season in UK Clio Cup Anton said: “I have really enjoyed this year in my first season in the UK Clio Cup with PP Motorsport, backed by Terraclean. First of all, thanks to our sponsors who have been supporting the team throughout the year. It has been a great having your support at circuit and away from race weekends. Also, thank you to John and PP Motorsport for choosing me to represent the team on the track to date – I am looking forward to getting back in a UK Clio Cup car very soon. The season has been a massive learning curve for myself and the team with lots of positives. We have had the pace since Round 1, qualifying 7th on the grid, but we have not had the best of luck some weekends. However, Thruxton was a particular highlight of the year so far demonstrating the pace that has been there all year. PP Motorsport have plans to run a third car in the 2017 season and will be working hard over the winter to make the progression to field a multiple car entry. Talks have already taken place with a young rising star to graduate into UK Clio Cup following on from a successful karting and junior car racing career. If backing is secured then the Lincoln based team could achieve the impressive feat of having three front running cars and becoming title contenders in only their second season in the championship.